Since 1999 I have been reading, traveling, and researching great places, things, and practitioners to round out my dogs’ lives. There isn’t enough room to list all of them, so we have narrowed it down and will add as time allows! The Pawsitive Dog www.thepawsitivedog.com. 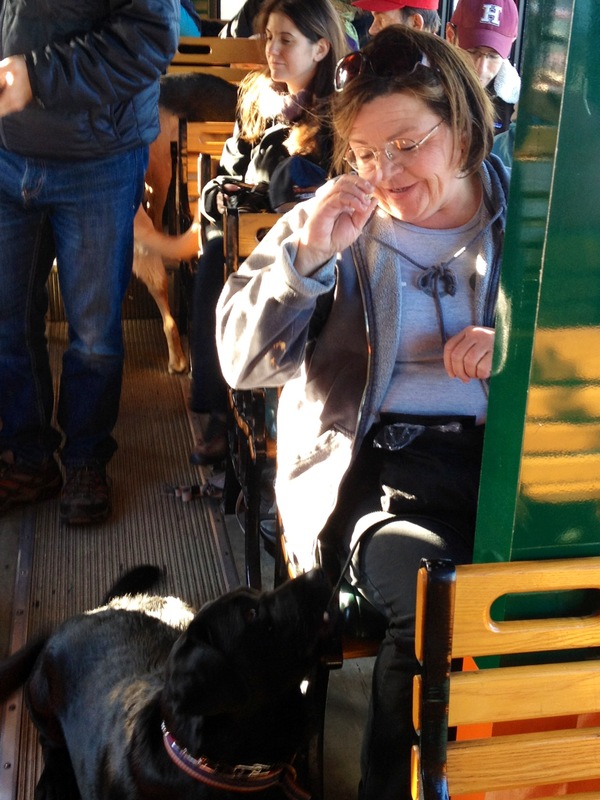 People love The Pawsitive Dog and for good reason. I have had the pleasure of watching hundreds of dog­owner teams make huge strides in their relationships through their building block approach. Set up a consultation with them and bring out the very best in you and your dog! It will be the best time and money you will ever spend on your dog. The Healthy Animal (www.thehealthyanimal.com). 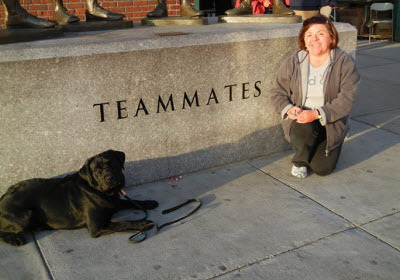 I have known Diane Dewberry for over 14 years, ﬁrst as Southie’s go to groomer and then as my go to for all things holistic and nutritional for my dogs. Diane began her alternative remedies about 12 years ago and has been our go to gal for all things holistic since that time! Flow Dog www.FlowDog.com. 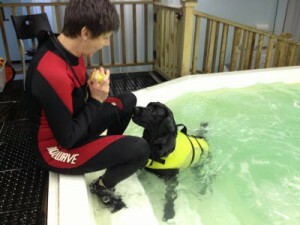 From physical therapy to conditioning to arthritic relief to puppy development, this is a fantastic place. Both of my dogs have enjoyed the beneﬁts of Chris Cranston and her devoted and knowledgeable staff. Give your dog something fun to do and a change of pace from the regular ho hum routine and schedule a swim with Flow Dog! “I ﬁrst met Renee when she brought her elderly dog, Tucket, in for physical therapy evaluation wanting to ensure he had the most comfort and happiness during his “golden years.” Little did either of us know that Tucket would suffer a vestibular episode en route to a session of swimming. Renee had the wits and courage to take Tucket immediately to an emergency veterinary hospital nearby to get the attention he needed. True to his name (short for Nantucket,) he loved to swim throughout his life and Renee, being the caring, loving, nurturing being she is, decided it was best he did this in the warm, therapeutic waters of FlowDog. Enter Win (short for Wauwinet)!! This strong, beautiful boy has already done more in his young life than most dogs ever get to do in their lifetimes: Doga (yes, doggie yoga at FlowDog), swimming at FlowDog for ﬁtness and fun, professional training, and rally obedience just to name a few of his extracurricular activities. Claire McManus ( www.mcmanusacupuncture.com ). For over 10 years, Claire has been providing acupuncture treatments to animals of all shapes and sizes – not limited to dogs she is also on staff at the New England Aquarium. Not limited to injury or problems, acupuncture is a wonderful addition to your dog’s overall healthy life. 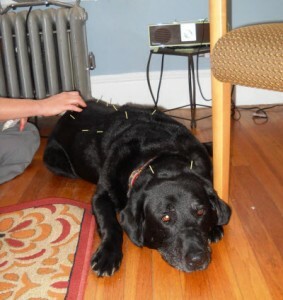 Renee has been an acupuncture client with both of her dogs for many years with Tucket to ease his arthritis and improve his quality of life and with Wauwinet as part of his exposure to everything. She is kind, thoughtful and completely dedicated to the welfare of not only to her but any dogs she meets or cares for. In addition, she has trained with two of Boston’s top dog trainers for many, many years and handles dogs beautifully; she understands animals on a level most people don’t. Renee is competent and trustworthy. She is constantly building on her knowledge and abilities not only with overall mental and physical health but with handling, understanding and “reading” dogs. Leaving your dog in Renee’s care means leaving your dog in the arms of someone 110% concerned with their safety, health and happiness!